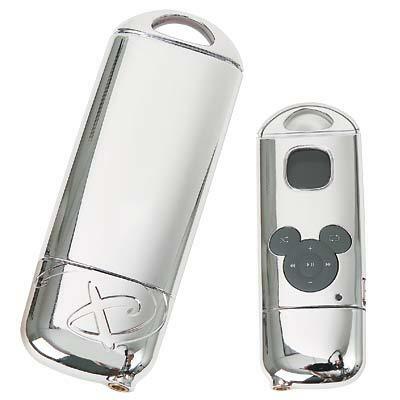 Disney has launched 2 new MP3 players for kids. The silver Mickey Digital Mix Sticks and for the girls there is a pink Princess version. For $ 49,99 you can buy this 128 MB flash memory player. Fifth generation iPod appears probably this month. According to Apple Insider will appear this month the fifth generation of the iPod with hard disk. Their sources says, they will make use of Toshiba's perpendicular recording hard disk, witch have a higher density and so a smaller physical dimension thanks to their at right angles magnet fields. Toshiba has at this moment 40-and 80 GB-versions in promotion in 1,8 inch-format, that are respectively 5 and 8 cm thick. 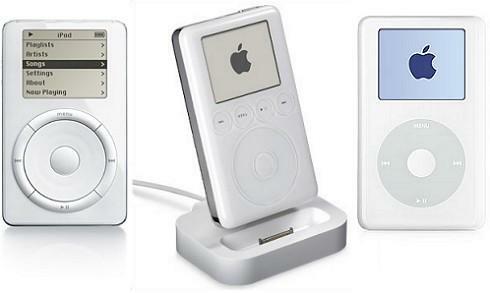 As well as a more compact design, the new iPod would have also a new click wheel take from the Nano. The persistenly rumors about video possibility's are also present this time, although this is just a rumour without hard proof. Dealers out of different countries reports that Apple the current iPods deliver it less and less and sometimes even not, something that's normally a sign that one is about to bring out a new version. 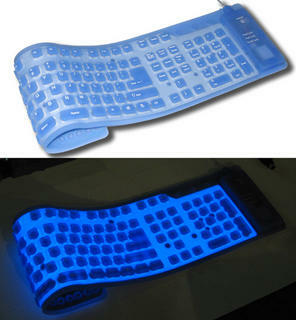 A flexible keyboard! Sometimes it can be handy, for example out doors, beacause it doesn't take much place in your handluggage, it's portable with the proper size to fold or roll. It weights law. And because it's made in silicone it's also resist against several things. So it's handy to use it on a rough field of activity, for instance in a bar or the kitchen. Mess coffee or drop a spoon of yoghurt? No problem, hold your keyboard under the faucet, rinse off, dry and ready. It even works in low-level water. Ben Patterson has reviewed the Nextel Motorola i850. Nextel's chic, clamshell-style Motorola i850 feels as heavy as a brick but packs in all the goodies that the carrier's subscribers have come to expect, he says. Ars Technica writes that gamesdeveloper Electronic Arts (EA) intends to enter the market of the mobile phones. The company has announced to be more intensive busy with the development and marketing of games for mobile phones. EA plans to launch new games for mobile phones and also to support more networks. EA will develop games that are based on Fifa Street, Dej Jam and his Simcity series. Games for mobile phones are at this moment a very limited market. There are a few developers who are active in this branch of the software-industry. As a result of this, users of cell phones don't spend a lot of money on games. The market for software downloads for mobile phones is about 500 million dollar in America and is mostly expend on ringtones. Fujifilm today announces the launch of the FinePix F11 Zoom. This new camera sits alongside EISA Pocket Camera of the Year, the FinePix F10 Zoom – which achieved best-seller status – in Fujifilm's high quality compact range. The new model builds upon the FinePix F10 Zoom's success by adding improved functionality and manual shooting options for increased creativity. This 6.3 megapixel camera is set to become renowned for the picture quality excellence already demonstrated by the FinePix F10 Zoom. In addition, it has been bestowed with aperture priority and shutter priority modes, giving scope for a level of creativity and photographic control that will appeal to photography enthusiasts. The FinePix F11 Zoom features market-leading sensitivity of ISO 80-1600, thanks to Fujifilm's 'Real Photo Processor' technology. This gives startlingly clean images, whether composing shots in bright sunshine, in low light or indoors without flash. The refined Super CCD sensor features the octagonal photodiodes pioneered by Fujifilm, which receive light more efficiently than traditional photodiode patterns. The camera also features a higher resolution 2.5" LCD screen, boasting an impressive 153,000 pixels – helpful when composing shots or viewing images in playback mode. The focus response of the macro mode has been improved, enabling accurate, satisfying close-up photography at distances as close as five centimetres. Furthermore, the FinePix F11 Zoom is a camera with longevity, delivering around 500 shots on a single battery charge – making it the perfect model for photographers travelling or those on intense photo shoots. BenQ will unveil three new additions to its digital camera line up, the X600, C500 and the C800. The new BenQ DC X600 is the world’s smallest 6M camera featuring Pentax's Super-Multi Coating (SMC) lens, 3X Optical Zoom and a large 2.5” LTPS LCD screen. The BenQ DC C500 is the lightest 5 mega pixels digital camera with fixed-focus lens in the market and the DC C800 features 8 mega pixels CCD with 3X Optical Zoom. Both digital cameras are sleek, compact design and versatile in functions, and are an ideal option for consumers seeking high quality multi-function digital camera at a reasonable price range. BenQ DC X600 Equipped with Pentax’s Super-Multi Coating (SMC) lens, the BenQ DC X600 is able to deliver true-to-life, crisp photos with pristine clarity and superb contrast. The featured 2.5” high resolution LTPS LCD screen and VGA movie recording at 30fps with AVI (MPEG-4) format ensures comfortable viewing and super smooth movie clips. The BenQ X600 additionally offers a smart photo-editing function including trimming, resizing, rotation, color filter, movie editing, which can be done via a touch of a few buttons instead of a computer. Apart from offering quality image performance and versatile functions, the stylish and exquisite design of BenQ DC X600 makes it an ideal accessory while on the go. The BenQ DC X600 is the world’s smallest 6 mega pixels digital camera with an ultra-thin thickness of 1.9 cm. BenQ DC C800 The compact BenQ DC C800 features 8 mega pixels CCD, 3X Optical Zoom, MPEG-4 movie format and a large 2.4” TFT LCD screen for clear and comfortable photo viewing. The camera is equipped with Printer Mode for direct printing via compatible printer and Burst Mode, which allows 4 shots to be taken per snap. The camera can be used as a Dictaphone and is bundled with 32 MB built-in memory. BenQ DC C500 The fashionable and stylish BenQ DC C500 is the lightest 5 mega pixels digital camera with fixed-focus lens in the market. This small and portable camera is coupled with a 1.7-inch high resolution LCD screen and offers PicBridge compatibility for easy printing without the need for going through the computer. The BenQ DC C500 camera also supports PC camera for video conferencing. The new BenQ DC C500 will be available on the market in October and the BenQ DC X600 and C800 will be launched in November. Nokia today announced that it has started deliveries of the Nokia N70, a compact, beautifully styled, easy-to-use 3G smartphone. Incorporating a complete smartphone feature set, as well as a 2 megapixel camera, flash and front camera for video calling, the Nokia N70 comes fully equipped with a digital music player and stereo audio. 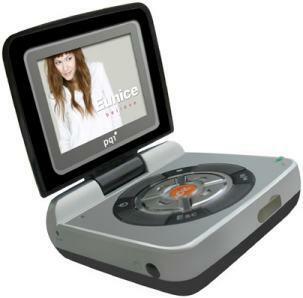 This portable media player features a 2-inch 320x240 pixels LCD display and supports several audio-formats. This little thing has only 32 MB of memory capacity, which is very poor, but you can expand this with MMC/SD/Intelligent Stick memory cards. It has a battery life of 4-6 hours. Olympus introduces the new EVOLT E-500, the most full-featured digital SLR camera in its class of sub-$1000.00 SLR cameras. Designed to be used by all photographers of any skill level, the E-500's compact and durable body is packed with Olym pus innovations like the exclusive Dust Reduction System for spot-free photos, 8 million pixels of detail for bright and colorful images, a TruePic TURBO Image Processor for fast response time, and an oversized, easy-to-view 2.5-inch HyperCrystal LCD. Compatible with a wide range of Olympus Zuiko Digital Specific Lenses™, the E-500 delivers the versatility and power that are the hallmarks of a performance SLR, but at an affordable price. Dust is all around us, and when swapping out a lens on a digital single-lens reflex camera there's a chance that a camera's electro-statically charged image sensor will attract micro dust that can ruin photos. Since the main advantage of using an SLR camera is the ability to change lenses for better imaging effects, Olympus has developed a way for photographers to enjoy the freedom of using all the lenses of the Olympus E-System in the most challenging, dusty environments without compromising image quality. The E-500 is loaded with an impressive 8 million pixels of detail, for bright colorful photos. The 8-megapixel sensor gives photographers the flexibility to blow up their prints to the large sizes supported by many of today's printers, or crop into an image to print only part of the image that is important to them. Moreover, the image sensor in the EVOLT E-500 is a high-performance Full Frame Transfer KODAK KAF-8300CE CCD™ that delivers improved dynamic range, low noise to capture fine image details in the highlight and shadow areas, as well as excellent color fidelity for brilliant colors. Creating an affordable digital SLR that most anyone can pick up and start to use is about making it easier to operate. That means menus that make sense and buttons on the body that are easy to understand and operate; adding automatic settings for every imaginable situation; making the LCD big and bright enough so you can review a shot without squinting; and making it less of a chore to get images out of the camera and into your computer or printer. Moreover, at just 5.09 inches (W) x 3.72 inches (H) x 2.59 inches (D) and only 15.3 ounces, the EVOLT E-500 is light and compact enough to comfortably shoot with all day. The Olympus EVOLT E-500 Digital SLR will be available in October 2005. Motorola has updated its website with more details about the upcoming Motorola RAZR V3X phone. It will be available before the end of this year. - Motorola's SCREEN3 technology solution featuring zero-click access to news, sports, entertainment, and other premium content. Nokia 3250: A music phone with a twist. The Nokia 3250, Nokia's newest music phone, grabbed the spotlight of Nokia Trends, an electronic music festival that took place in Berlin, Germany this weekend. This unique design twists to transform a traditional phone keypad into dedicated music keys. The Nokia 3250 stores up to 1 Gigabyte (750 songs) of high quality music and offers 10 hours of music play. In addition, consumers can take advantage of the Nokia 3250's two-megapixel camera and smartphone capabilities. The triband GSM 900/1800/1900 model is expected to start shipping in the first quarter 2006 with an estimated retail price of 350 EUR before subsidies or taxes. The XpressMusic feature brand, also introduced today, makes it easier for consumers to identify those Nokia devices which are specifically designed to listen to music," says Kai Öistämö, Senior Vice President, Mobile Phones, Nokia. "One of the first devices to feature the XpressMusic mark is the Nokia 3250, which is going to stop music fans in their (favourite) tracks. Its unique twist design makes it quick and easy to switch between the music keys, the regular keypad and the camera mode." By twisting the Nokia 3250 keypad 180 degrees, consumers can toggle between the music controls and the traditional phone keypad. The music player of the Nokia 3250 supports a wide array of digital music formats such as MP3, WMA, M4A and AAC, making it easy to load and transfer music. Additionally, songs can be downloaded over-the-air while on the go and favourite songs can be set as ringtones. The Nokia 3250 supports microSD memory cards of up to 1 Gigabyte with storage capacity for up to 750 songs. An FM radio with Visual Radio client complements the Nokia 3250's complete music package. Using the Nokia Audio Manager software, users can convert their favourite CDs into digital music files, and "drag and drop" their personal music collections and favorite playlists directly from their computer. The Nokia 3250 comes with a two-megapixel camera, which is activated in the landscape mode by twisting the Nokia 3250's phone's keypad 90 degrees. With a few simple strokes, images can be instantly shared with others via MMS, or printed on a compatible printer via Bluetooth wireless technology. 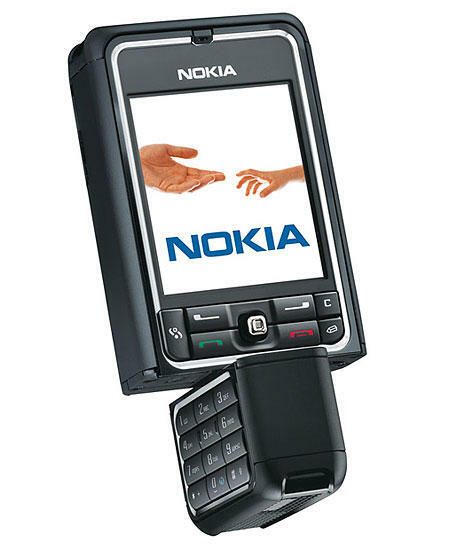 The Nokia 3250 is based on the Series 60 platform and Symbian OS, offering a broad set of features and messaging functionalities and enabling third-party application developers to create their own music applications. Those applications can be downloaded and installed on the Nokia 3250. 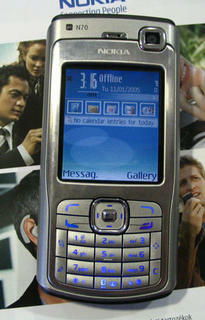 Bridging smartphone capabilities with music on the go, the Nokia 3250 has a talktime of up to 3 hours. 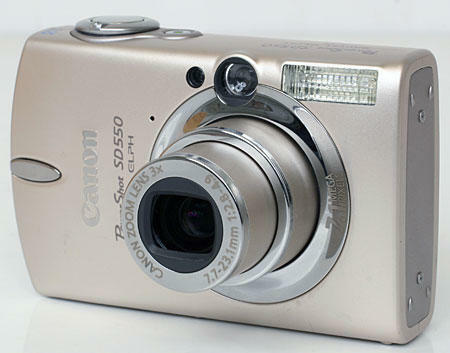 Jeff Keller has reviewed this Canon PowerShot Digital Camera. 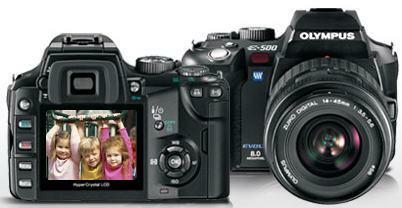 This camera is an update to the popular SD500. There's one big change, plus a few smaller ones as well, he said. You can read the whole review over here. 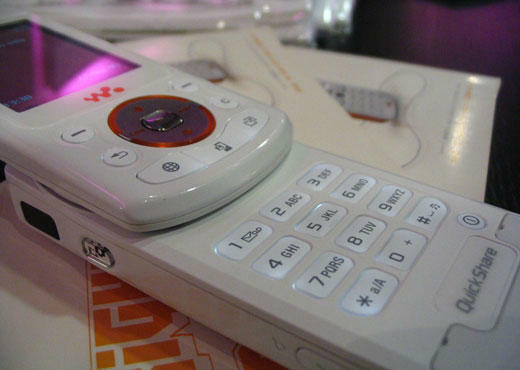 Gizmodo got some pictures of the Sony Ericsson W850 Walkman phone. There aren't yet more details know. Mobiletracker said that the Motorola Q will ship in December according to CEO Ed Zander, this is an unusual early release. 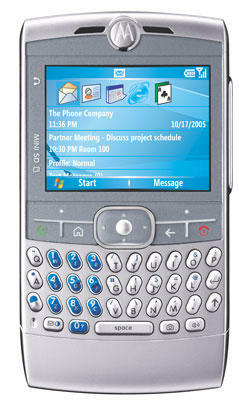 There are some pics of the upcoming HP6700-series Ipaq smarthphones. A few weeks back there were spec leaked. You can read them over here. More details can be found at Engadget. 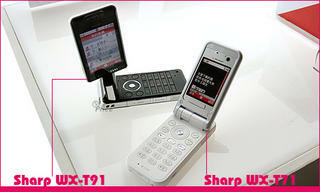 Phoneyworld reports about two new phones from Sharp; the WX-T91 and the WX-T71. The Sharp T91 is a clamshell phone where the camera is still on the back. It has an impressive 3.2 megapixel. It can take pictures and record video. The T91 has also stereo speakers. 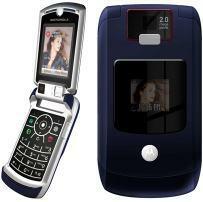 The T71 is an elegant 3G clamshell phone with a 1.3 megapixel camera and a 262,000 colors TFT display. It has also stereo speakers. This phone comes in black, white, green and orange. Both T91 and T71 support MP3 and they have also a monochrome external display to check battery status.